A spectacularly successful season followed by a summer of upheaval. Is this Simeone’s big chance to prove that he is indeed one of the world’s best coaches? If Diego Simeone isn’t already considered one of the best managers in the world of football, I don’t think there’s much change he ever will. 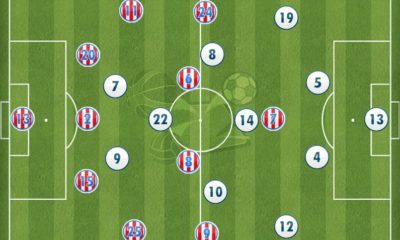 Simeone has been able to take a team of players who were, for the most part, castoffs and “under the radar” players and lay down a guidemap to success. 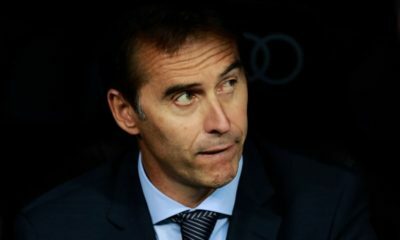 He has a vision and a way of playing which the players bought into and he beat out Real Madrid and Barcelona for the La Liga title and made it to the Champions League final on a third of Real Madrid’s budget. Atletico’s terrific season was built on the foundation of a rock solid defence. With Courtois and Luis now gone to Chelsea, how are Atletico going to replicate it? The core of he defence is still very much intact, with Godin, Miranda and Juanfran staying long-term. Oblak is more proven than Courtois was and was stellar for Benfica, as was Filipe Luis’ replacement Guilherme Siqueira. The defense won’t skip a beat. If Oblak isn’t up to the task, Miguel Angel Moya has shown this pre-season that he is. Antoine Griezmann represents a very interesting addition to the Atletico midfield. How and where do you see him fitting in? I see Griezmann playing on the wing, as he did successfully this past summer for France. Simeone has managed to reshape his attack, knowing Mario Mandzukic is not the same type of player as Diego Costa. Griezmann will provide speed down the wing and draw the defence in, allowing Koke and Arda Turan a chance to play to either Mandzukic or Raul Jimenez. I think the team becomes much dynamic than they were last season. Costa has gone, but in his place, Atletico have Mario Mandzukic. Like for like, upgrade, or downgrade? Costa was the perfect player for Diego Simeone’s system. Far better than Falcao, as Costa scored consistently in almost every match. Mandzukic will not be the wrecking ball that Costa was, but Mandzukic brings intelligence, a chip on his shoulder from his time at Bayern and his own form of aggression. Knowing Mandzukic’s skill set, Simeone has brought in pieces to compliment him and make him the centre-piece, while not putting all of the pressure solely on him to score, thus the need to bring Raul Jimenez in as a supporting striker. We track the progress and performances of youngsters with our Talent Radar feature. Saul Niguez the focus here; what are your thoughts on him and will he be given a chance to impact the first team? Saul has a very bright future. He is a poster child for why you send young players out on loan. He was above and beyond Rayo Vallecano’s top players last season, playing in 34 matches and having the most balanced statistics of any other player. Gabi is not getting any younger and I think that Saul will be the logical choice to take over and will definitely share time to give the 31-year-old a rest here and there. Given how well he performed at Rayo, Leo Baptistão’s spell at Betis can be seen as a bit of a let-down. With him returning, does he have what it takes to succeed at a club like Atletico Madrid? My personal opinion is that Leo Baptistão will continue to go out on loan until his contract expires. I can almost guarantee that he will be back with Rayo Vallecano on loan by the close of the transfer window. He is a good player, but Atleti’s attack has evolved and improved so much, that I don’t believe Baptistão is aggressive enough, or strong enough at the moment to succeed at Atleti. With all the hype around Real Madrid and Barcelona, it’s very easy to forget who the Spanish champions are? What’s Atletico’s mindset going to be at the start of the season? Their mindset is the same as every year. One game at a time. They have already forgotten last season’s success, they have forgotten Diego Costa, Filipe Luis and Courtois. This is the team they have, this is the system that has brought them unprecedented success. There is no need to question it and they won’t. Last season more than exceeded expectations, topping or equaling that will be more difficult a task than doing it initially. What will supporters be expecting from the side this season? The fans are some of the best in the league and they will accept whatever happens this season. They would love to have their team be La Liga champions again and they would love to go deep in the Champions League, but if they do not, they know it won’t be because of the team’s mentality or lack of desire. They know that the team will do whatever they can to win and if they don’t, they understand. Koke had an exceptional season, even winning our Talent Radar Young Player Award. 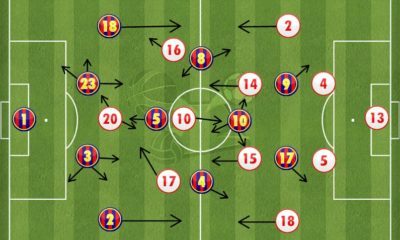 Do you see Simeone using him in a similar role, or do you think he has what it takes to play in a more advanced position, centrally? Simone has put together a side that will allow Koke to essentially run the attack, the same as Xavi at Barcelona. Koke will dictate tempo and direct, while Griezmann and Arda set the pace and allow things to open up. I don’t think his role will change that much, as he was so crucial last season. 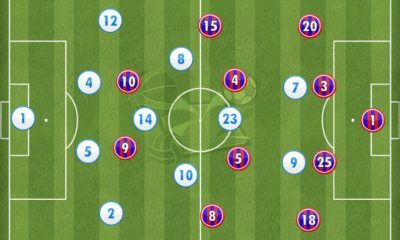 Although Atletico Madrid arguably had a better campaign overall than the two giants, factors off-the-pitch mean breaking the duopoly is no easy task. They’ll need to replicate last season consistently. Can they do it, despite the obvious disparities? I personally believe that Atletico Madrid have a stronger squad this season than they did last season. They have put together a team that can rival any defence and have a defence that can stifle any attack. Replacing David Villa, Diego Costa and Adrian with Antoine Griezmann, Mario Mandzukic and Raul Jimenez provides an incredibly dynamic attack to an already great midfield with Turan, Tiago, Koke and Gabi. However, is it enough to match the millions upon millions that both Barcelona and Real Madrid have spent this summer? Time will tell, but I believe that Atletico Madrid have done everything in their power to reinforce an existing squad that has seen unparalleled success under one of the best managers in the world. 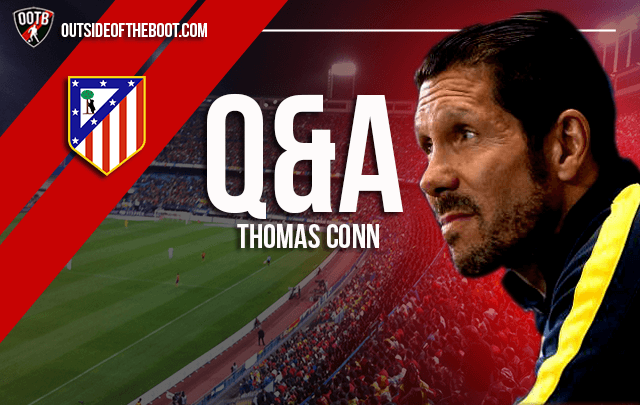 Questions answered by Thomas Conn.
You can read all our interviews and Q&A’s here. Check out all articles under our “Read & White” blog. Borussia Dortmund Tactical Preview: How will Jurgen Klopp’s side set up in the 2014-15 season?